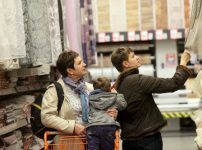 Even if you are an avid do-it-yourself and you like to save money wherever possible, there are just some areas that require things that are not generic and/or store-bought. Some people can fit into off-the-rack clothing whereas others must, at the very least, shop in specialty stores or departments. Much the same can be said when it comes to decor, upholstery, flooring, and other home related topics. Curtains and draperies fall into that category. Are Custom Draperies and Curtains Worth It? The short answer here is yes, of course, they are. Custom curtains and draperies are exactly that – they are custom made specifically for the windows in your home and no one else’s. If you can sew, you may have made curtains for the kid’s room, the kitchen or bathroom at some point in your life. When it comes to draperies, however, possibly because of the sheer weight of the material, many people shy away from making them themselves. (And seriously, who has that kind of time these days?) Here are a few considerations that come into play when discussing custom draperies and curtains against store-bought ones. Whereas standard windows may not be a problem, very large windows present a real challenge when it comes to trying to fit store-bought curtains or drapes. Living rooms typically have sizable windows and should, therefore, be fitted with custom window treatments. For proper fullness, it is suggested that your curtains or drapes should equal 2.5 to 3 times your window’s width. So that if your window is even marginally unique, you might have a hard time finding the right draperies or combinations of draperies to fit precisely. Few people want their windows to look smaller than they actually are. “Wide and high” is usually the battle cry when decorators, be they professional or just the do-it-yourself type, are discussing window treatments. Even if the ceiling is relatively low, the right window treatments can make the room appear bigger and taller than it really is. Some decorators, in fact, go so far as to call the hanging of curtains or drapes immediately above the window line an abomination. By purchasing custom-made window treatments, you will assure yourself of the exact height required to make the most of each specific room in your house. Let’s face it – the quest for quality is one of those times that you get what you pay for in almost every case. To assure that you and your home have the best quality when comes to curtains, custom-made is the only way to go. And if you’re going to preserve the quality of your curtains or drapes, the lining is going to make or break that quest for preservation. The hot sun beating down on the inside of your draperies and curtains is their worst enemy. And with the wrong lining, you might as well use no lining at all and just let the sun eat away at your window treatments. Don’t skimp on the lining. 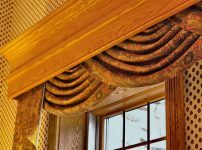 Even though the curtains or drapes in your home are probably fully functional, people nowadays seldom use them for the purpose for which they were intended. Very often curtains and drapes are simply accessories used for lending height to a window, creating softness and reinforcing a color scheme. The correct, specific height, width, and color can only be assured through customization. Even the luckiest guy on earth isn’t going to find all three, to their exact specifications, on the shelf at Walmart. Custom-made curtains offer the perfect fit when it comes to not only the size of your window but how they fit in with the rest of your decor. Additionally, window treatments may vary depending upon the purpose or use of the room itself. Consider other window treatments such as shades, blinds, and shutters – if draperies seem inappropriate for the room.